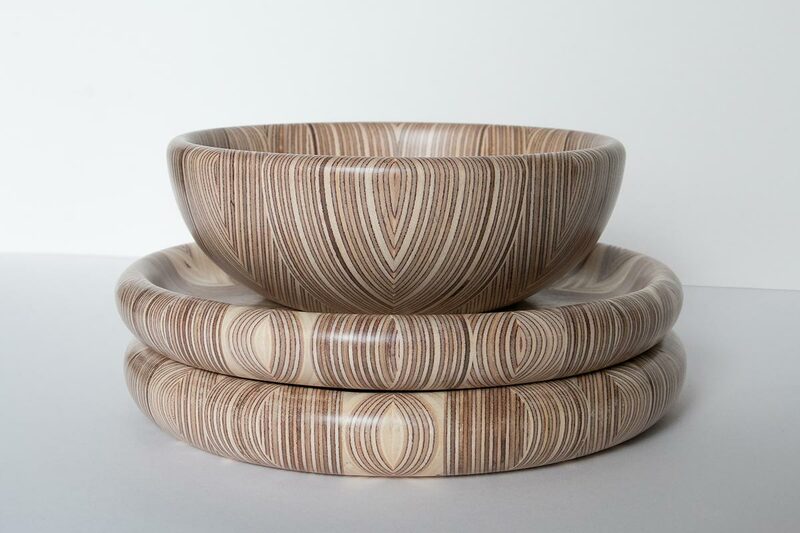 ‘Ordning’ is the Swedish word for order and represents our quest for order in dealing with offcuts, Martin developed this technique originally for his Masters project on pattern, decoration and craftsmanship. It has since, become a way of life and working for him. One example of how it manifests in his work is how he transforms plywood, elevating people’s appreciation of an often-underappreciated material. Martin uses this technique to create anything from flat panels to boxes and his latest addition is bowls. The geometric constructions are turned into bowls that trick your eye with visual illusions and engage the brain with geometric pattern entanglement. Seeing is believing!